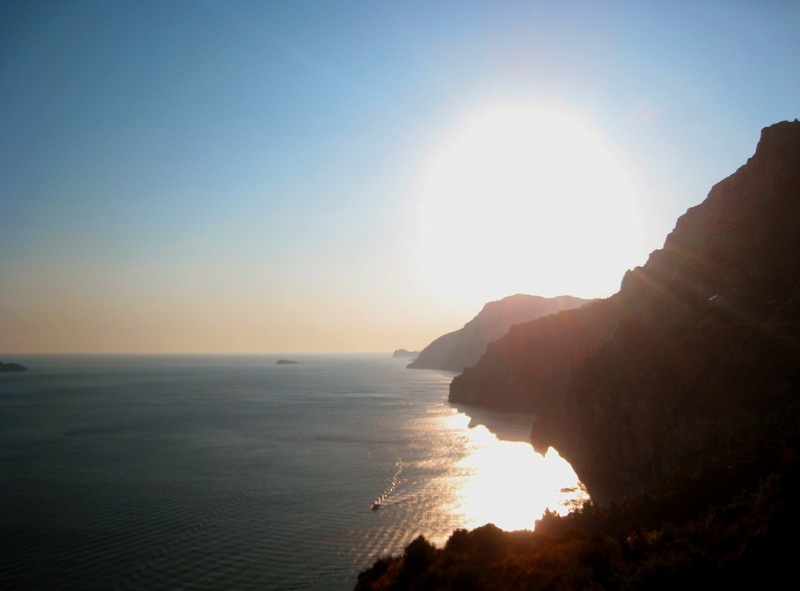 Just a 2.5-hour drive south of Rome (Part 1 of our honeymoon) is the region of Campania. 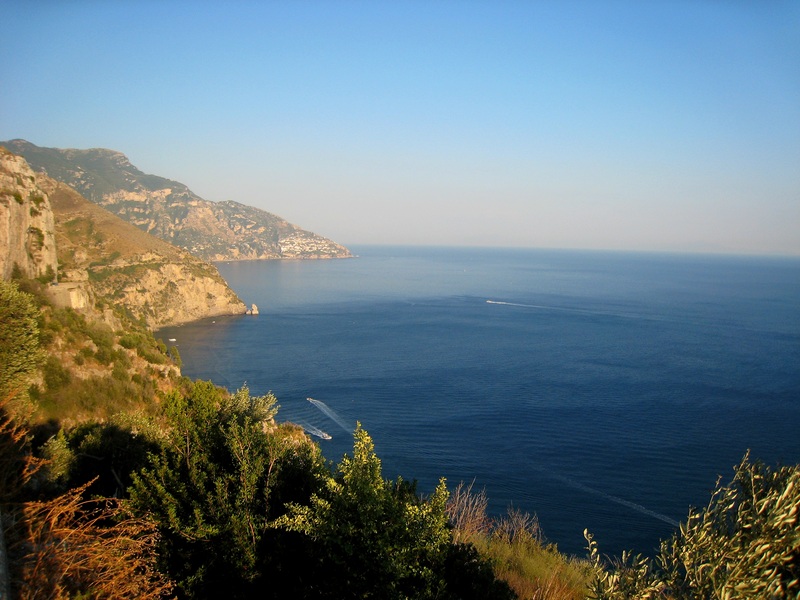 Located on the Italian Peninsula, this treasured region is home to Naples, the island of Capri, the ancient city of Pompeii and the stunning Amalfi Coast. 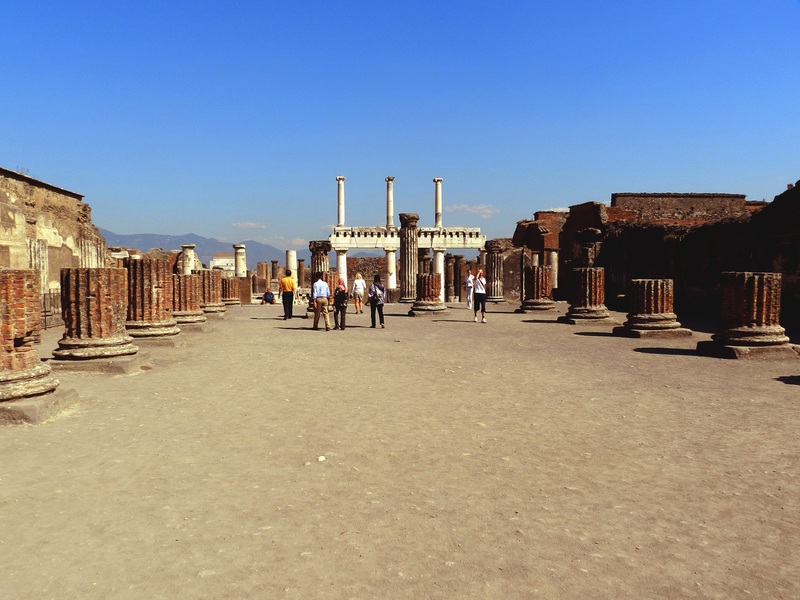 This bustling ancient Roman colony had a population of almost 20000 at its prime, until it was famously destroyed to ashes in 79 AD with the tragic eruption of Mount Vesuvius. Buried under tons of ash and eventually forgotten, the discovery of the town didn’t happen until almost 1500 years later – and it wasn’t until the mid-18th century that intentional excavations were carried out and the colony revealed. Because the town was completely buried underneath ash, it lacked air, moisture and general exposure to the elements. 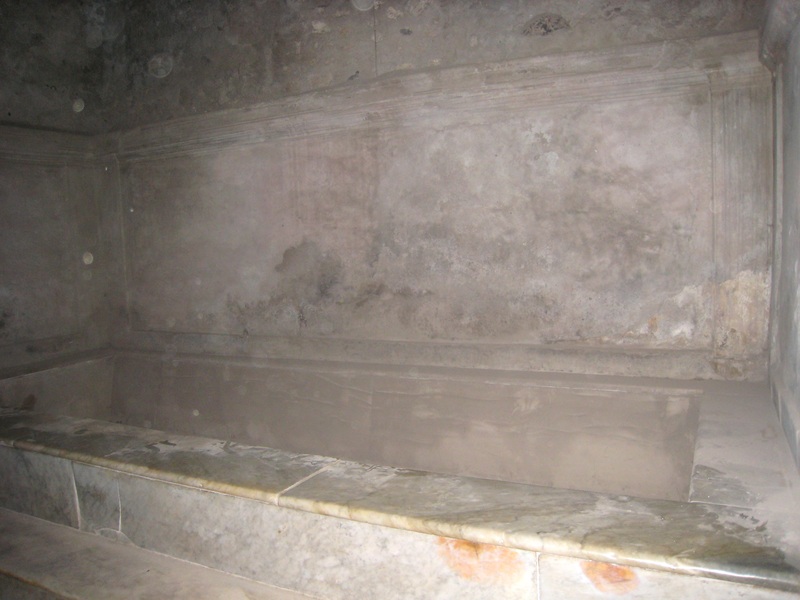 As a result, the objects and buildings recovered have been well-preserved after all these centuries. 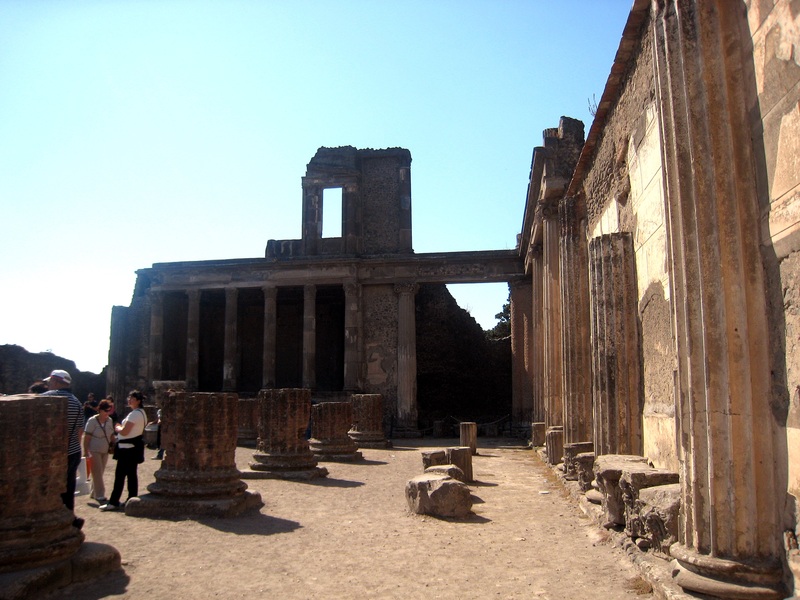 Today, Pompeii is a very popular tourist destination and a UNESCO World Heritage Site. Here’s your chance to indulge in your inner Indian Jones, tour the ancient city and glimpse into what everyday life was like 2 thousand years ago! 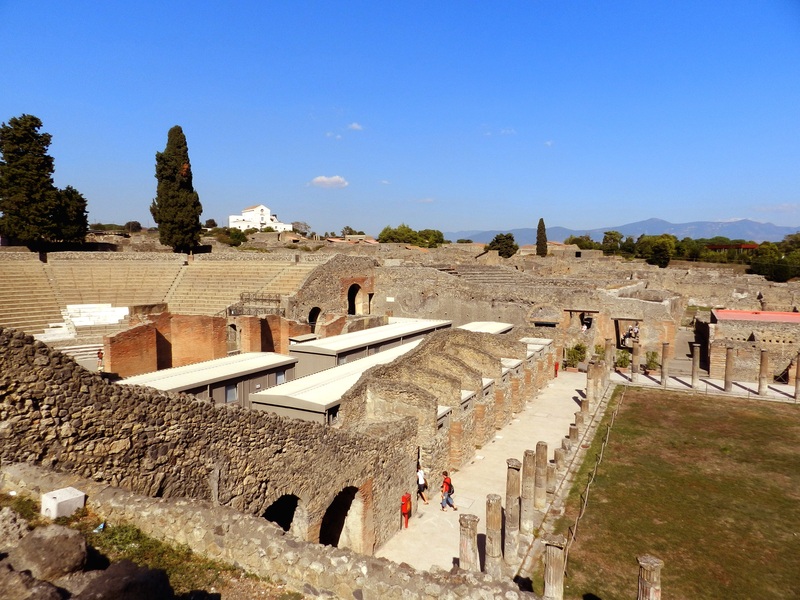 Highlights include: the Amphitheater, the Gymnasium, the Stadium, the Forum, the Temple of Apollo, the House of Faun, the Basilica and the Baths. >TIP: Make sure to bring plenty of water and good walking shoes. 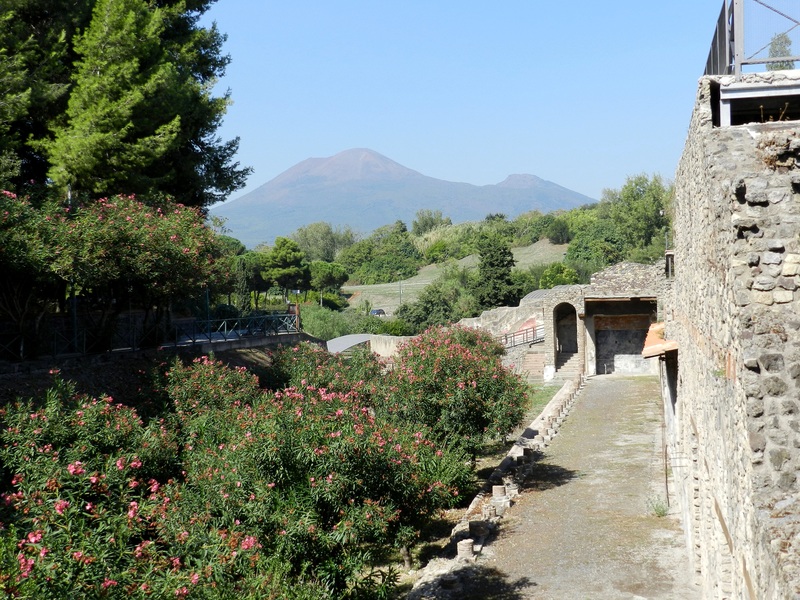 Getting hot and tired, especially if you’re there during the summer months, makes not for happy campers on these dusty trails 😉 The Pompeii site is vast and you can spend an entire day here. Allot for at least 3-4 hours for your visit. Continue along southwest of Pompeii and you’ll arrive at this beautiful stretch of coastline, boasting gorgeous views of the Mediterranean. 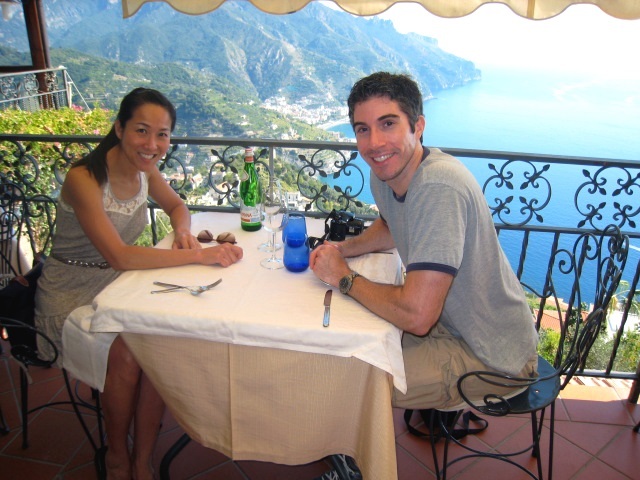 The Amalfi Coast is one of my favorite destinations in Italy. 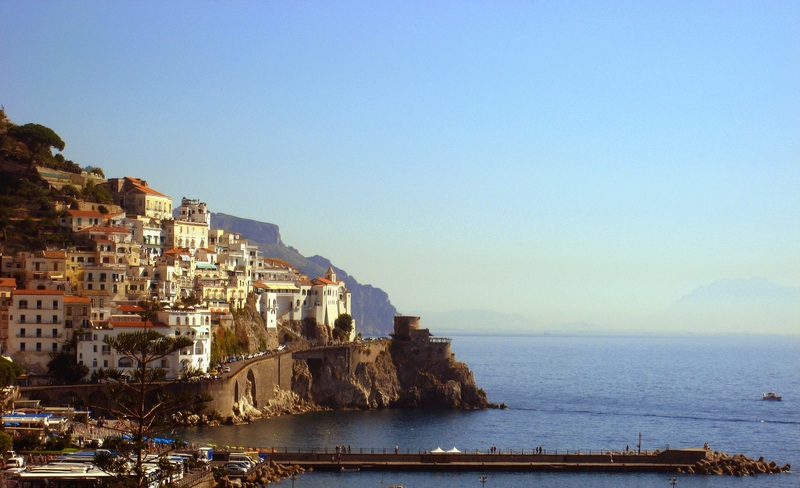 Take the Amalfi Drive (or Strada Statale 163) from Sorrento to Amalfi – if you love scenic drives, this is a must. 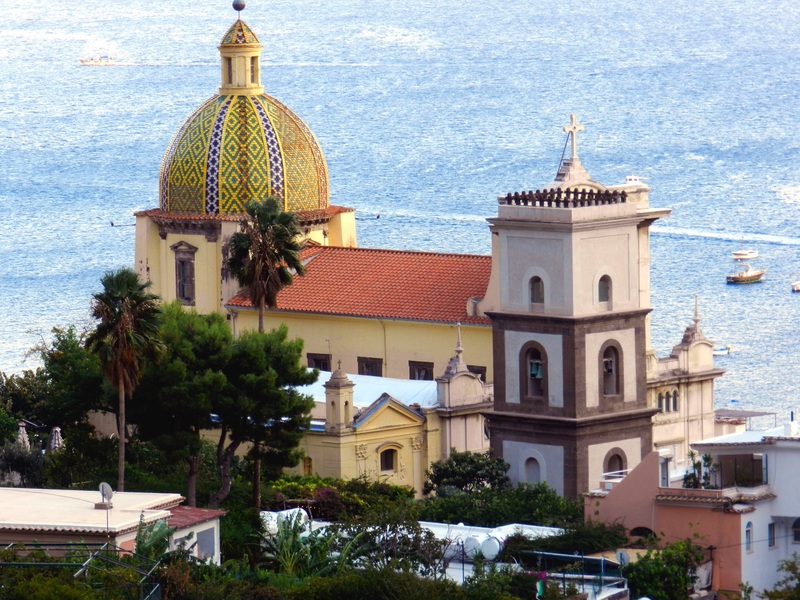 There are 13 municipalities in this region and we stopped in 3 of them – Positano, Amalfi and Ravello. Each is unique in their own way and with lovely scenery and exquisite food. 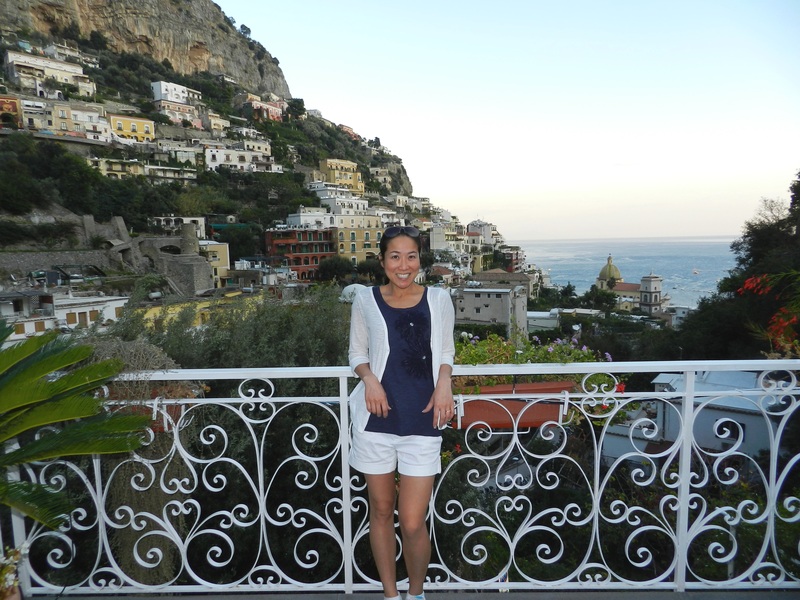 Walk along the windy streets of Positano to the top and get the best view of the city. To get to the beach, wind back down its narrow streets, through its little town of restaurants and shops. If you drive, much of the streets are single roads so take care and make your way slowly. On the way down, stop by Santa Maria Assunta, the beautiful church with the gold dome and check out the 13th-century Byzantine Madonna and Child. 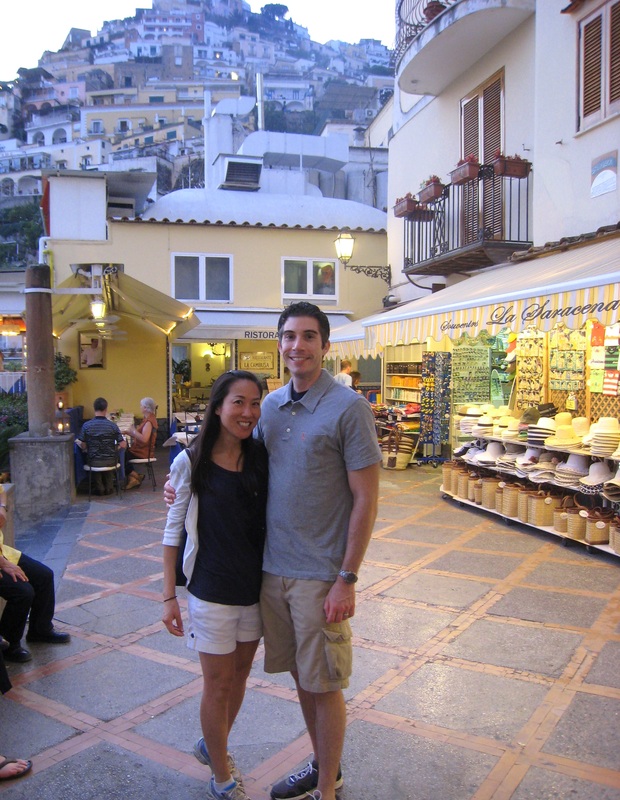 >TIP: There are many great shops along the coastal cities and especially in Positano. You’ll find everything from handmade sandals to artisan workshops. Note that if you visit in the summer months, like many places in Italy, most stores will be closed during the afternoon hours for controra or siesta. Make sure to plan accordingly if you want to do some shopping but have limited time. 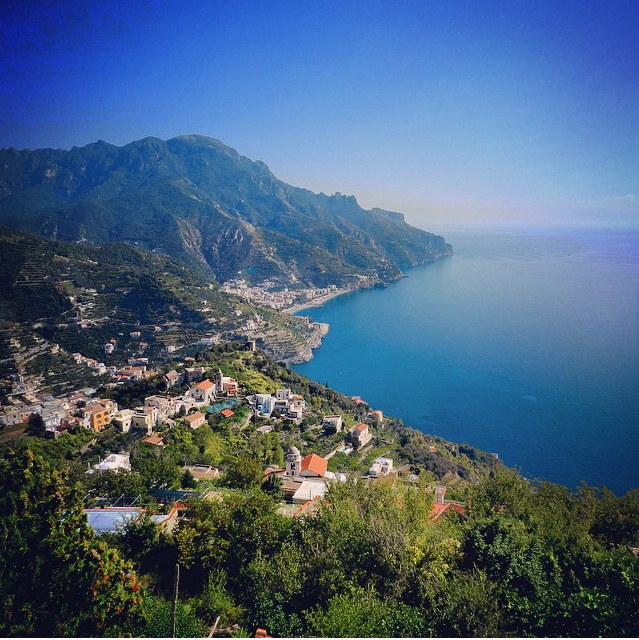 Ravello is renown for its stunning views and immaculate gardens. Visit Villa Cimbrone, Villa Rufolo and the Cathedral of Ravello, located in the heart of the city. Take in the vibrant hues of blues and greens, relax and indulge in some delicious food. 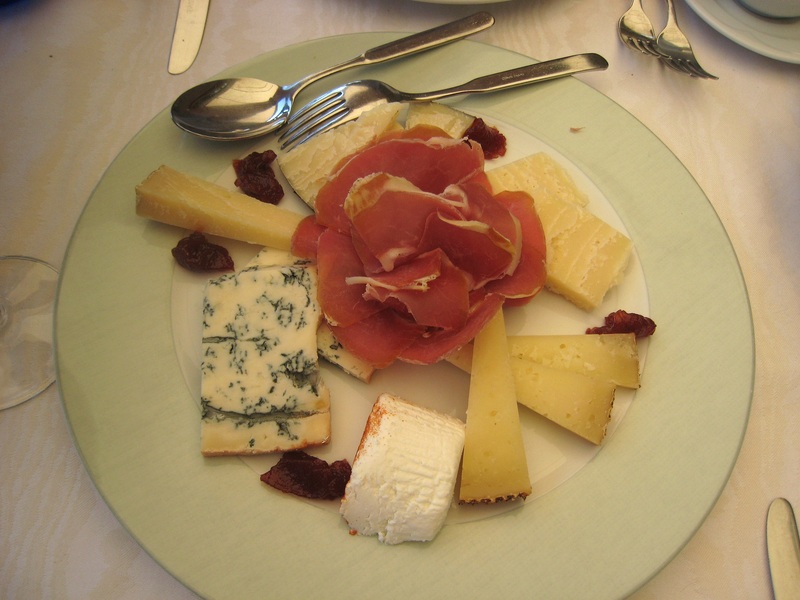 Here are some specials of the region you must try. Sfogliatelle – this tongue twister is a shell-shaped filled Italian pastry native to Campania. Sfogliatella means “small, thin leaf or layer,” as the pastry resembles thin leaves stacked on top or each other. Limoncello – this is the region famous for lemons and Limoncello, the sweet Italian lemon liqueur. Try some after your meal as a digestivo but make sure it’s the good stuff. Pizza – if you also make it to Naples, you must of course try the pizza – the most famous in all of Italy! Check out Da Michele or Brandi.